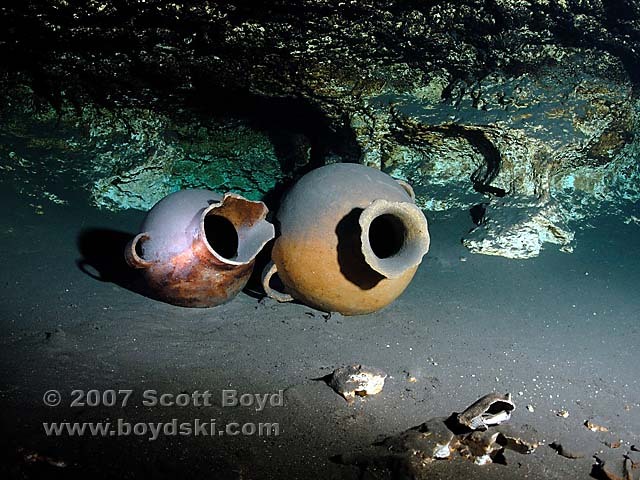 Ancient Mayan Water Pots from Chan Hol Cenote. Located just off of Highway 307, South of Tulum, Mexico. Entrance is through a very small hole (aka a mud puddle).